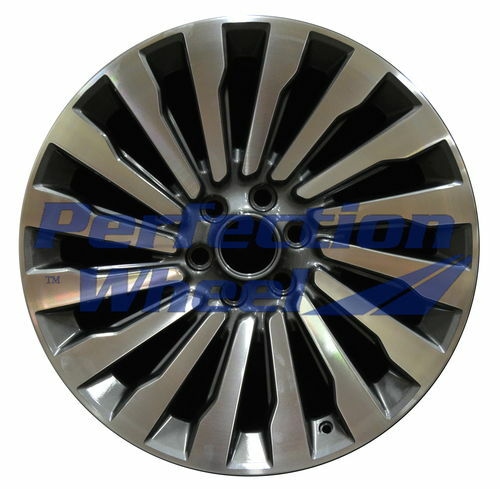 WAO.10178 22x9.5 Metalic Charcoal with black base Machined Brigh [WAO.10178.PB01_LC41.MABRT] : Shop Perfection Wheel, Refinished Wheels Catalog and Store - Refinished/Refurbished/Used Factory OEM OE Aluminum Alloy Wheels Rim Sales & Alloy Wheel Rim Straightening Repair and Replacement Refinishing! Purchase cores, Purchase Aluminum Wheel cores. - Refinished Wheels Catalog and Store - Refinished/Refurbished/Used Factory OEM OE Aluminum Alloy Wheels Rim Sales & Alloy Wheel Rim Straightening Repair and Replacement Refinishing! Purchase cores, Purchase Aluminum Wheel cores. - Refinished Wheels Catalog and Store - Refinished/Refurbished/Used Factory OEM OE Aluminum Alloy Wheels Rim Sales & Alloy Wheel Rim Straightening Repair and Replacement Refinishing! Purchase cores, Purchase Aluminum Wheel cores.